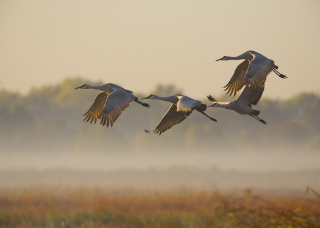 Birding Without Barriers: Clark's or Western Grebe? 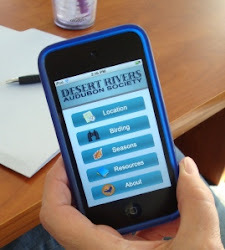 While spending time on the Tempe Town Lake Pedestrian Bridge ogling at the Red-necked Grebe, I started to notice small variations among the Western Grebes. 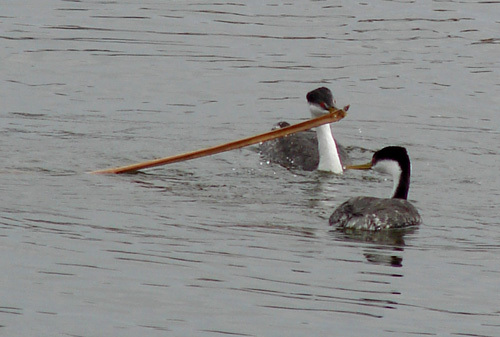 The grebe on the right in the above photo seems to have white lores, and grey plumage above the eyes, while the grebe on the left does not. The bill is only slightly yellower than the Western's, not strikingly so. 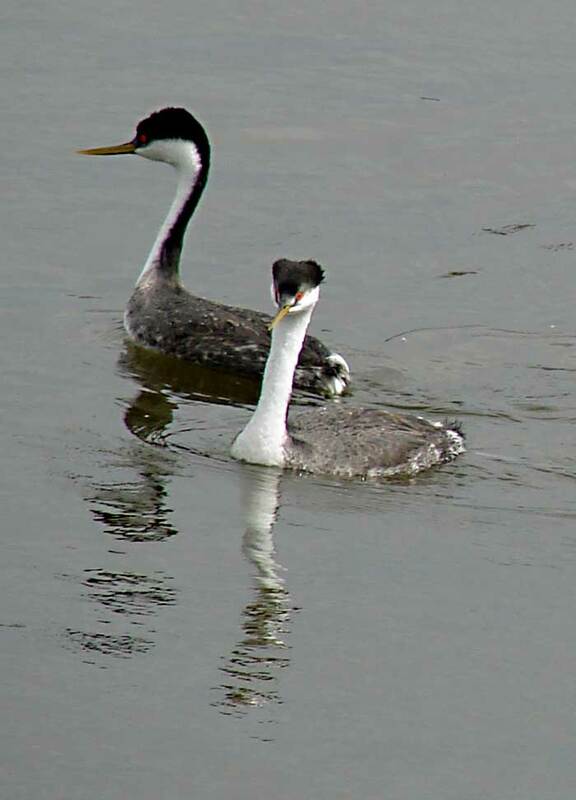 Is the one on the right a Clark's Grebe? 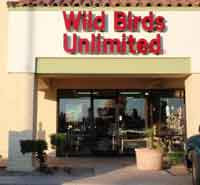 Try as he/she might, the Clark's couldn't interest the Western in gathering nesting material. 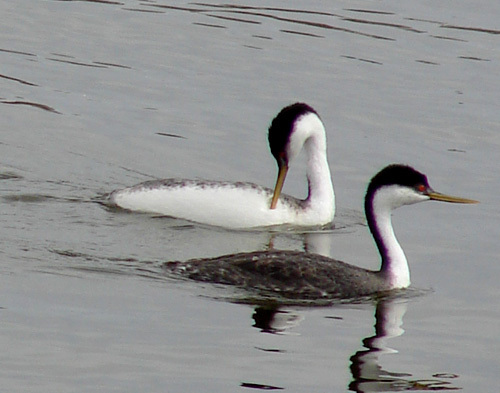 Above are 2 Western Grebes with their darker bills, black lores, and dark plumage just below the eye. From left to right - 2 Western Grebes, a possible Clark's Grebe, and the Red-necked Grebe. 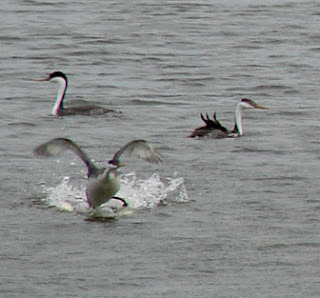 The poor Red-necked Grebe kept getting chased away by the trio. 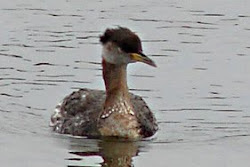 The lost and lonely Red-necked Grebe is getting redder by the day. Hopefully he will get back on course and reach his fellow rednecks soon! Nice work Peggy! 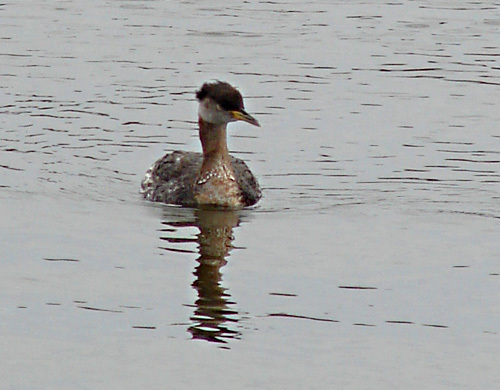 It's hard to get close shots of those Grebes way out there. Yours' are some of the best shots I've seen! It looks like there's definitely a Clark's Grebe in the mix. 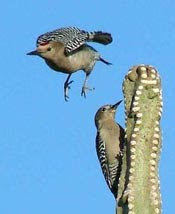 I know there was when I was observing the bunch a few weeks ago. 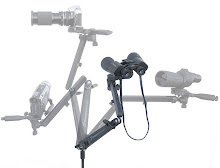 I didn't know the Red-Necked was still around. Awesome!